It's bested by the competition, but the Team Issue is the best Park Tool work stand we've tested. Pros: Lightweight, best park tool model, good clamp design. Cons: Expensive, wide collapsed size. If this review was only a comparison of the Park Tool work stands then the Team Issue would easily take the top spot. This is by far the best Park Tool model that we've ever tested with an easy setup, light weight, a quality clamp, and an all-around better design than its relatives. Unfortunately for the Team Issue, we tested it against the best models on the market, and while it is a good work stand it can't quite match the performance of the competition. The Team Issue is relatively easy to set up, with legs that slide into position and provide a good level of stability. It collapses just as easily and is competitively lightweight and portable for storage and travel, especially if you remove the clamp arm. It has adjustable height, though it is less than the competition, and the clamp arm can be rotated to find the perfect angle for your needs. The clamp itself opens wide to accommodate tubes up to 3" in diameter and has a relatively user-friendly threaded cam locking closure. While it is a good work stand that will serve your needs, there are several other models in this test that outperform the Team Issue, especially considering it is one of the most expensive models in this review. Park Tool has been an industry leader in the bike tools market for quite a long time. If you've ever worked on your bike or taken a look into the repair area at the local bike shop, you've probably used or at least seen some Park Tool products. Whether it's bike tools or bike stands, they make virtually everything you could ever need to work on your bike. In recent years, however, Park Tool's dominance has been challenged by a number up and coming brands, especially in the bike work stand market. The Team Issue is Park Tool's top-of-the-line work stand and is their lightest weight and most refined model that we've ever tried. While we do feel that it's their best work stand, it can't match the performance and convenience of our top-rated models in this review. The Team Issue is easily the best Park Tool work stand we've ever used, a massive improvement over the PCS-10. The Team Issue is relatively quick and easy to set up. It comes almost fully assembled from the factory, the only assembly required is the installation of the clamp arm, which is easily threaded into place using the clamp arm knob. Unlike the Park Tool PCS-10, the assembly of the Team Issue doesn't require tools and is very quick and easy. The clamp arm is so easy to put on and take off that we recommend doing it for storage and travel as it gives the stand a narrower profile. Other than the clamp arm, the setup involves flipping open the quick release for the legs and sliding the collar down to the bottom of the main pole and closing the quick release to secure them in place. The legs move in unison, thanks to the thin aluminum stays that keep all the parts together. The height is then adjusted by flipping open the other quick release on the upper collar and sliding the upper portion of the main pole out of the lower portion to the desired height and securing it with the quick release. The clamp arm can also be twisted 360 degrees to arrange the clamp in the desired position. If the clamp arm is already attached, testers found they were able to have this work stand set up in approximately 20 seconds. There is minimal assembly required; the clamp arm just needs to be inserted into the socket at the top and threaded on. Overall, the differences in time and ease of setup of the models in this review are relatively minimal. With a couple of practice runs, the majority of the work stands in this test can be set up in 15-25 seconds. The easiest and most user-friendly models are the Feedback Sports Classic and Feedback Sports Pro Elite. After that, the ToPeak Prepstand Pro, Bike Hand, and the Team Issue all take just a hair longer. The Feedback Sports Recreational falls a bit behind, as does the Park Tool PCS-10 which is by far the most difficult stand to set up of the bunch. The Team Issue has a quality and secure height adjustment but it loses a little ground to the competition due to its more limited adjustment range. The clamp can be adjusted anywhere within its range of 45"-60" by opening the upper quick release on the main pole and sliding the upper pole out of the lower pole to the desired height. It's possible to adjust the height higher than 60", although the stand becomes much less stable and it's probably best to stay within the recommended adjustment range. The quick release lever appears to be of high quality and provides a secure clamp to keep height where you want it, plus the tension of the quick release is quickly and easily adjustable. On the Team Issue work stand, Park Tool has also employed a hex-shaped aluminum tubing throughout its construction, which keeps the upper and lower tubes of the main pole in line and not drifting to the side like the Park Tool PCS-10. The height of the Team Issue is easily adjusted with this quick release. It has a more limited range than some of the competition, but the hex-shaped tubing works to keep everything in line and enhances its stability. While the height adjustment of the Team Issue is secure and provides enough range for most applications, our testers were more impressed with the tripod style stands that offer a greater range of adjustment. The Feedback Sports Classic and Pro Elite both have a 42"-71" range that is sure to meet everyone's needs. 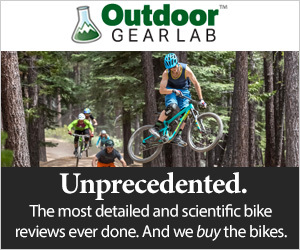 Our top-rated model in this metric is the ToPeak Prepstand Pro, which has a 48"-72" adjustment range and a more refined air cushioned feel in its travel. The Team Issue is certainly an improvement over the height adjustment of the Park Tool PCS-10 and is much preferred over the fixed height of the basic Feedback Sports Recreational. Park Tool's top-of-the-line work stand gets a top-of-the-line clamp. This clamp is solid, with virtually all metal parts and nice wide rubber coated jaws with a unique shape that can grab onto nearly every shape of tubing. The jaws open wide and can clamp onto massive 3" diameter tubes with a threaded cam-locking closure that speeds up the bike loading process. The cam-locking lever closes and opens the jaws about a half an inch while turning the lever as a knob allows you to fine tune the tension on them with the threaded screw that holds the two sides of the clamp together. Each side of the clamp jaws is 2.75" long, which is a nice length to fit onto smaller parts of the frame while still distributing their force over a large enough area. The clamp of the Team Issue is by far the most impressive part of this work stand. In addition to the excellent clamp design, Park Tool has also integrated a piece of curved blue plastic on one side of the clamp arm that is intended to cradle the nose of your saddle should you choose to just hang your bike for quick maintenance tasks like lubing your chain. The Team Issue has a quality clamp that opens wide to fit tubes up 3" with non-marking rubber jaws that fit a big variety of tubing shapes. The clamp on the Team Issue is among the best on our test, but it couldn't match the performance or convenience of the clamp on the Editors' Choice award-winning Feedback Sports Pro Elite. The Pro Elite has a slide ratcheting closure and a spring-loaded quick release that no other model can match. The Feedback Sports Classic also tops the Team Issue with a user-friendly slide-lock clamp. Beyond that, none of the other competitors can match the quality or convenience of the clamp on the Team Issue. Much like the Park Tool PCS-10, the Team Issue has a quality angle adjustment with 360 degrees of smooth index-free rotation. The clamp arm is controlled by the large handle on the back of the clamp arm that tightens or loosens the compression cone in the composite fitting at the top of the stand. Adjusting the angle is easy, smoot, and predictable and can be done with or without a bike in the clamp. If you do adjust the angle with a bike in the clamp, you can modulate it by maintaining some tension on the clamp arm knob and by supporting the weight of the bicycle with your hands. The angle adjustment is solid and secure and can be tightened down hard to handle heavy bikes and high torque repairs. The Team Issue angle adjustment is smooth, solid, and relatively user-friendly, but testers found that they preferred the adjustment on the Feedback Sports Classic and Pro Elite. Both stands have a similar non-indexed rotation but a large three-pronged metal knob that is incredibly easy to turn and makes adjustments even quicker and easier. Both the ToPeak Prepstand Pro and the Bike Hand have circular rings of plastic teeth that have an indexed adjustment that is secure but far less user-friendly than the non-indexed rotation of the Team Issue and others. Park Tool has made the Team Issue a very stable work stand. It has a weight rating up to 100 pounds, the most in the test, and although we never came close to that number it's clear that this stand can support the heaviest bike in your stable and withstand your hardest wrenching tasks. When the legs are open the stand has a three-point stance with 36" long legs and 45" between their ends. With a range of height adjust between 45" and 60", the Team Issue keeps the weight slightly lower than some of the competition which adds to its stability. This stand is also made out of "Hexatude" hexagonally-shaped tubing that supposedly makes a stiffer and less flexible tube and has the added benefit of preventing the upper and lower portion of the main tube from rotating. This lack of rotation ensures that the clamp arm will always remain lined up between the legs in the stand's most stable position. The Team Issue has a wide and stable footing with hex shaped tubing throughout that prevents twisting of the clamp arm and keeps everything lined up in the most stable position. They claim a weight limit of 100 lbs. The stability of the Team Issue is definitely among the best in the test. The lower maximum height, heavyweight limit, and twist free hexagonal tubing ensure that this stand is stable enough for just about any bike or wrenching task. The ToPeak Prepstand Pro, however, still takes the cake for stability with its tripod legs and larger footprint, with the Feedback Sports Cassic and Pro Elite roughly the same as the Team Issue. Testers were relatively impressed with the portability of the Team Issue, especially when compared to the PCS-10, which is the heaviest, least portable, and most awkward to carry or travel with of the models in this review. Park Tool has managed to get the weight of the Team Issue down to a very respectable 13 pounds and the stand collapses down to a size that is competitive with many of the other models in the test. One of the biggest issues with the Team Issue is the clamp arm, which is fixed in the extended position when attached to the stand as opposed to the folding clamp arms found on many other models in this review. The clamp arm makes the stand have a slightly taller and wider profile of 48" x 15" when it is still attached. If storage space is limited, it's quite easy to remove the clamp arm from the stand by unscrewing the large knob on the back of the stand until it comes off. This reduces the collapsed size of the stand to a very manageable 47" x 8". The only drawback is that you have to keep track of the clamp arm and put it back on when you set up the stand. While the weight and collapsed size of the Team Issue do help to make it quite portable, it is still bested by several other models in this review that are lighter, smaller and don't require the removal of the clamp arm. The smallest and lightest of all the models we tested is the Bike Hand YC-100BH, over two pounds lighter and seven inches shorter. The Feedback Sports Classic and Pro Elite both collapse about two inches shorter, weigh less and have folding clamp arms that enhance their portability and convenience. The ToPeak Prepstand Pro is approximately the same collapsed size as the Team Issue and it weighs slightly more, but it comes with a zippered bag for storage and travel that earns it a slightly higher score in this metric. The Team Issue is a solid choice for everyday maintenance tasks. It's quick and easy to set up and take down and it has a durable construction that can withstand being left outside for extended periods or regular rinses with the hose. The clamp is user-friendly and it's quick to get your bike in and out of this stand for simple tasks like checking your shifting or adjusting a derailleur. It also has a protective blue plastic cover on the top of the clamp arm that is designed for you to hang your bike by the nose of your saddle for those super quick tasks like lubing your chain. Of course, we liked the ratcheting/quick release clamp of the Feedback Sports Pro Elite the best for its convenience for everyday maintenance, but the Team Issue is still a great choice. The clamp arm on the Team Issue has a blue piece attached to the top side which is intended for hanging your bike by the saddle for everyday maintenance tasks like lubing your chain. The Team Issue is a great work stand that will serve you well no matter how you intend to use it. This stand is sturdy and can handle the heaviest bikes and all the torque you can dish out. It has a quality clamp that makes loading and unloading bikes relatively easy, plus it can hold tubes up to 3" in diameter. It's also quite lightweight and portable, assuming you remove the clamp arm, making it a good option for cycling road trips or weekend racers. Set up and leave it up in your workshop or pack it up and take it on the road, the Team Issue has got you covered. With its high weight limit of 100 pounds and clamp that can fit 3" tubing, this is also the best option for people with very heavy bikes or especially large tubing. At a retail price of $324, the Team Issue is the most expensive work stand in our test. While it is a quality work stand and the best Park Tool model we've ever tried, it's hard to call it a great value since our top-rated models cost less and offer a higher level of performance and convenience. The Team Issue comes with a limited lifetime warranty to the original owner, so you should theoretically get many years of faithful service from it. While the Team Issue definitely takes the cake as the best Park Tool work stand we've ever tested, it falls about the middle of the pack of the models in this review. Park Tool makes a range of portable home mechanic and professional grade work stands, accessories, and every tool you could ever need for working on your bike. In addition to the PRS-25 Team Issue reviewed here, they also make the PCS-10 ($187) (also tested), and the PCS 9 ($145), both of which have a similar design but weigh more and are far less user-friendly than the Team Issue. They make one model of fork mount repair stand, the PRS 22.2 Team Issue ($340). Additionally, Park Tool makes two models of Deluxe Home Mechanic Repair Stands, the PCS 4-1 and the PCS 4-2, both of which retail for $290 but come with different clamp styles. They also make a variety of accessories, including a handlebar holder, tool tray, paper towel holder, and wheel truing stand that can mount directly to your Park Tool work stand. Accessories specific to the PRS-25 reviewed here are a zippered Storage and Travel Bag ($25) with a shoulder strap, and a Work Tray ($34) to keep your tools handy.